• Magna-seal postcards allow for extra impact in your direct or bulk mail marketing and are a great way for your company to reach its potential clients. • Utilize our free artwork design service or use your own creativity to imprint your logo, message, and artwork to the postcard. Magnetic business card is attached in order to conveniently provide all your information in one easy location. 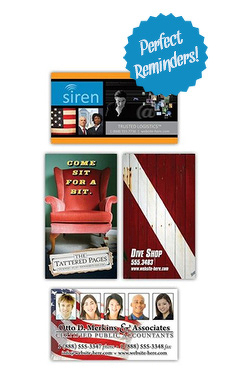 • Designed for 8.5" x 5.25" postcards and includes a 3.5" x 2" magnetic business card.